Having an accurate bathroom scale is important for losing weight, gaining weight, and also maintaining your bodyweight. The most accurate bathroom scales will not give you incorrect readings and they’ll allow you to track your progress properly. If your scale was off 5 or 10 lbs this could lead you to making incorrect decisions based on your perceived weight. Also one note before we get too far – you should know how often to weigh yourself. AND GUESS WHAT IT’S NOT EVERY DAY! Not even close, try once every week or even better once every two weeks. Obsessing over your day to day weight which fluctuates wildly is bad for mental and physical health. Check once a week max and watch that sweet linear line go up. MyFitnessPal agrees with me! This review of the most accurate bathroom scales will inform you of the weight scales available today, the features you can get, and how to properly use your bathroom scale. Before not too long ago, getting an accurate bathroom scale was an unsightly expense. With the way technology has advanced prices have come down considerably and you can get a perfectly accurate bathroom scale in your house for a reasonable price. Getting into the most accurate bathroom scale reviews, we’ll go over 5 of the best scales available and include options for every budget. Of course when you spend more you get more reliability and accuracy, but you can definitely get great accuracy using any of the scales on this list (that’s why we picked them!). 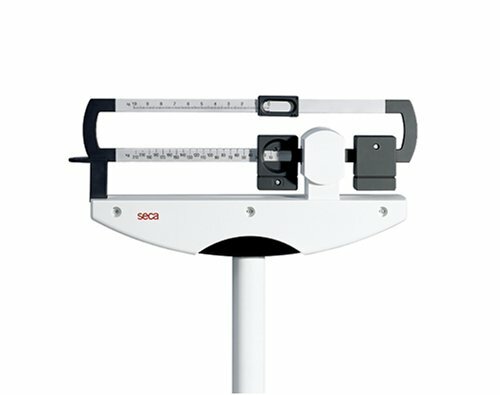 Starting off with the top of the line most robust scale you can get, we have the Seca 700 measuring rod scale. This is a mechanical scale, the exact same kind you would see in the doctor’s office except it’s in the comfort of your own home. Mechanical scales are definitely more expensive but they’re also physically calibrated and therefore far more accurate. Plus, they’ll last a life time and you can even perform simple repairs on them as all of the parts are accessible. You’ll never spend on batteries again, and this thing will outlast every electric scale on this list. 500lb capacity – highest on this list! 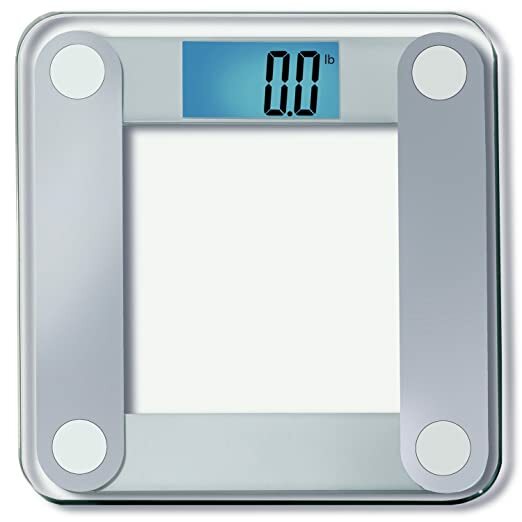 The only con is that in this digital age, a mechanical scale can’t offer any connection with your smart phone. It’s also not necessarily the easiest to read without a large LCD screen if you have vision problems. Other than that, if your budget permits then this weight scale would be my top choice due to the accuracy and durability. This scale really ticks all of the boxes. It measures weight, BMI, muscle mass, body fat, hydration, and even bone mass! This is an extremely accurate scale that connects with today’s technology including FitBits, Google Fit, Apple Health, and their own WeightGurus app. This scale hooking up to your phone and apps means you can track your weight remotely, keep track of progress, monitor bodyfat, and more. It’s a very accurate scale and for an extremely reasonable price you can be in the drivers seat when it comes to weight management when either cutting or bulking. I can easily see this being the popular pick for millennials and the tech savvy folks of today. The connectivity cannot be matched by the old school balance beam scales and they’re basically as accurate. If you have a hard time remembering what your weight was from yesterday, worry no more. Your apps and scale will store your weight and track progress for you. Here’s my pick for the most accurate bathroom scale on a budget. It’s a very accurate scale, has a huge lighted LCD display, 400lb capacity, and it’s a great size to fit in your home. Monitor your progress with this inexpensive, effective, and accurate scale. It’s not even cheaply made, featuring tempered glass and a high-powered LCD backlight. Great for those on a budget – a budget doesn’t mean an inaccurate scale! 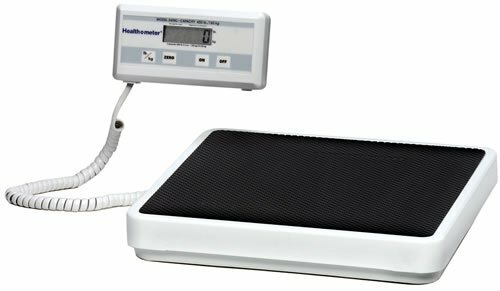 Topping the balance beam scale we have the Healthometer digital medical scale that competes with the mechanical scale for accuracy without the added bulk. If you don’t want a huge balance beam scale in your bathroom (I don’t blame you) this is an awesome option for you. This scale is one of the most accurate on the list and the price is even below the mechanical scale. If your budget can fit it, I would definitely get this weight scale if you want the most accurate bathroom scale that’s not going to be in the way and unsightly like a large balance scale. If you have a FitBit, or are into tracking your weight stats online then this is the scale for you. You don’t need a FitBit to use it, it will automatically update your stats via WiFi to FitBit’s website where you can monitor your progress. This scale is extremely easy to set up, and even easier to use which means there’s no barrier to start using it today. Another great feature is that it recognizes up to 8 different users (family members, etc.) and you can all keep your stats/results private via password protection and choose how much you share. This scale is extremely accurate and will give you readings within seconds of stepping on it (no lag). 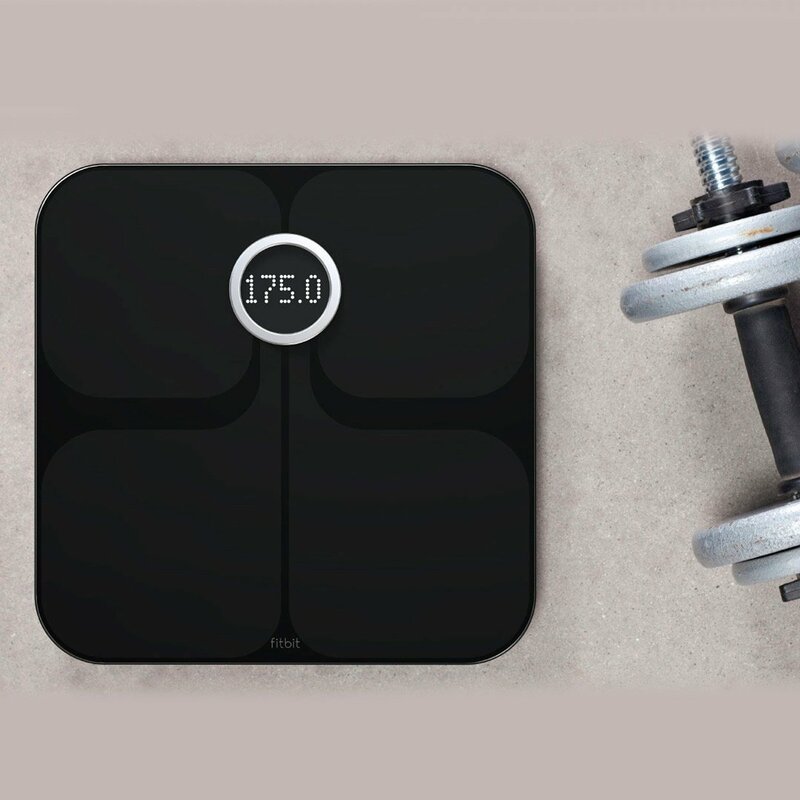 This scale is another great choice for the tech-lover of today that’s into weight management – whether gaining or losing. The FitBit Aria is a step up price-wise from the WeightGurus scale but I think the quality upgrade is worth it, and FitBit’s tracking software is really great as well. Either way, whichever scale you pick will be trackable online or on your devices which is awesome. Like I said earlier, having an accurate bathroom scale is important because a lot of your food and exercise choices are based on your measured weight. You want accurate readings every day so you can track your progress and get the feedback you need. If your inaccurate scale shows you didn’t lose any weight in a week when in reality you lost a pound or two that’s huge! You’re missing out on motivation that your diet and exercise regime is working – don’t risk that! Now that we’ve seen some of the most accurate bathroom scales let’s go over the features and how to decide what we want when looking for a bathroom scale. With one mechanical bathroom scale on the list, you might be wondering what’s the difference between them, and if getting a mechanical scale is worth it? In earlier years calibrating electronic scales was more difficult but now it’s not like that anymore. Mechanical scales are touted as the most accurate however I think that digital scales have caught up and there’s really not a huge difference between the two. Mechanical scales are certainly accurate, but they’re also expensive for a negligible increase in accuracy. The reason why you might want a mechanical scale is for the durability. However if you think about it, they offer no connectivity to the internet, your smart phone, and you have to manually measure your weight every morning. It’s a no-brainer for me – no thanks! Connectivty – do I need it? Connectivity means either WiFi or Bluetooth connectvity to your computer or smartphone devices. 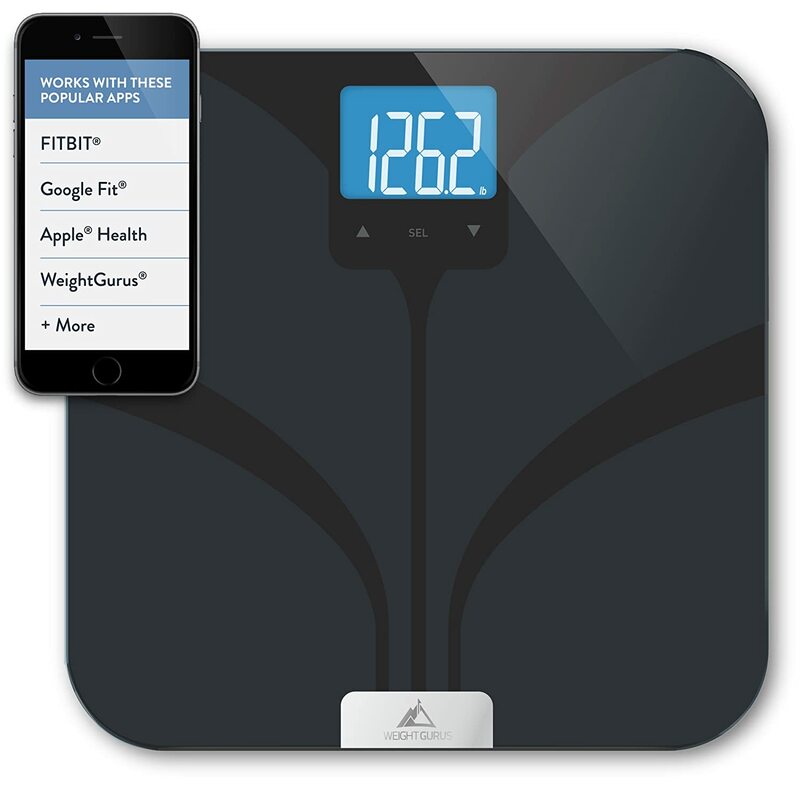 With the price of these scale options (WeightGurus and FitBit scales) I think it’s an easy decision to pick up one of these connected weight management scales. They’re super simple to set up, and take out the monotony of manually tracking your weight or worse trying to remember it which leaves more margin for error. With these connected devices they automatically record your weight each time you take a measurement so it’s sitting there in graph form at the end of the week when you want to check in on your progress. Amazing! If you’re starting your weight loss at a higher weight this may be of concern. All of the scales on this list are rated for up to 400lbs so if you’re within that then no worries. How many people will be using the scale? What kinds of features do I want? Backlight? Bluetooth? WiFi? What are my goals when it comes to weight loss or weight gain? Do I want to measure other stats like bodyfat and muscle mass? Asking these questions will help you determine if you want a connected scale like the FitBit Aria or the WeightGurus scale, or a simple scale like the EatSmart precision scale. If you have a bunch of people in your home or it’s a shared residence you might want to go with the FitBit Aria as you can track the weight of up to 8 people which is an awesome feature. Go through your needs, and select a scale from this list and you’ll end up with the most accurate bathroom scale that’s perfect for you. Along with monitoring your weight via scale it’s also important to monitor your food intake and I’ve find using meal prep containers can provide a great way to make consistent healthy meals for the week.